The FSA fierce skaters starred a joyful and very rewarding weekend in Utrecht, with their remarkable participation at the 2nd KNSB Cup. Our contestants demonstrated their expertise in their programs, and many personal best were reached! The enjoyable ambience was accompanied as always with the FSA team spirit, our competitors’ optimism, support and the inspiring temper that characterize them. We couldn’t be prouder with the outcome of this weekend, and we want to praise their fantastic job as well as the guidance of coach Valeri. We are looking forward to the 3rd and last round for selection in Leeuwarden! Cannot close this small note without making a special mention to Ron Emmerik and his team for the astounding organization of the event in Utrecht, as their efforts resulted in an excellent contest with a pleasant atmosphere for participants and public. Dames Pre Basic Novice A: Elisa (6th place), Noa Fay (10th) and Dagne (16th). 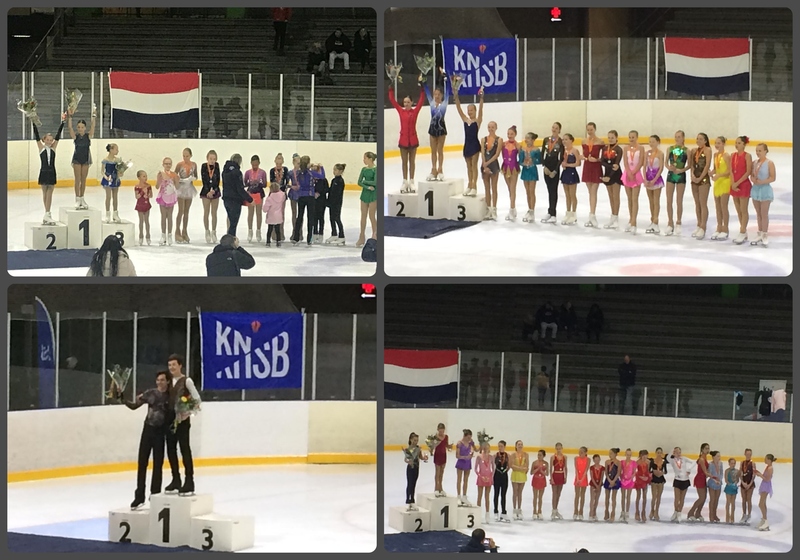 Dames Basic Novice A: Annika (6th place), Magali (8th), Yarina (11th) and Eva (20th). Dames Advanced Novice: Emily (9th place), Sam (13th) and Eileen (14th).